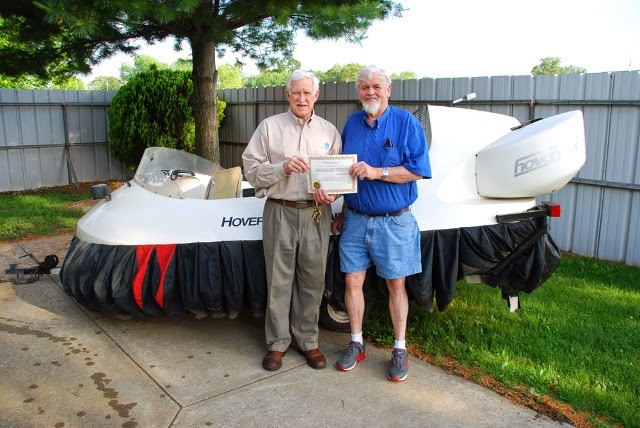 Gerald Determan (right) receives his Hovercraft Pilot Certification from HTC Senior Instructor Chris Fitzgerald (left). 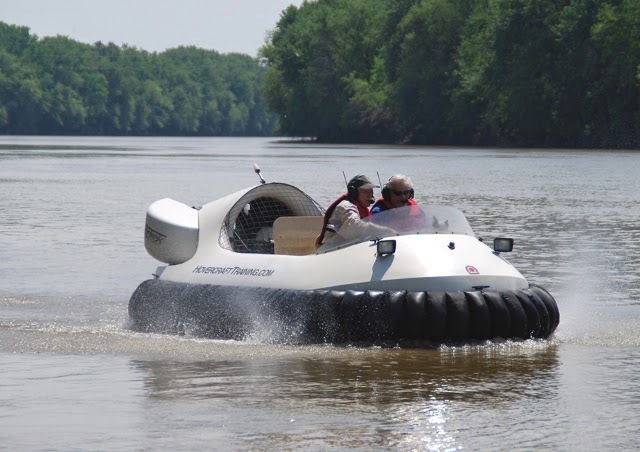 Gerald takes the controls for his first hovercraft flight, while Chris Fitzgerald provides constant instruction and feedback. But first, take a Test Flight or Training Course at HTC!